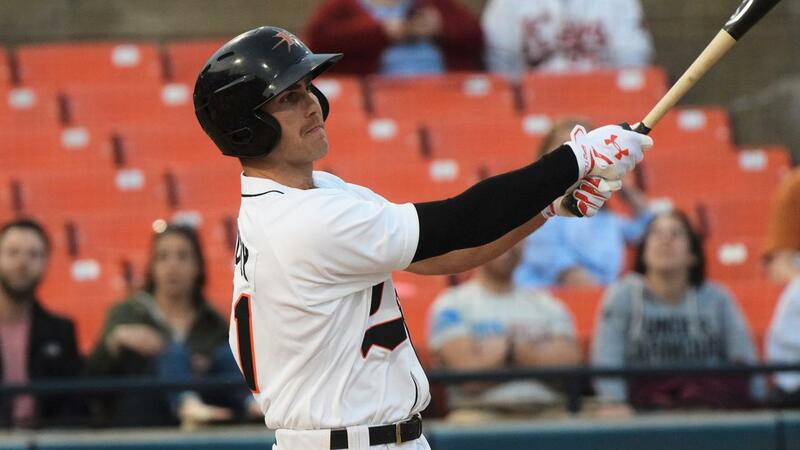 FREDERICK, MD-The Frederick Keys (65-72, 30-38) got a two-run home run from Collin Woody on their way to a 2-1 victory over the Myrtle Beach Pelicans (61-78, 27-42) on Sunday afternoon. The win secured a series victory for the Keys on the final game of the season. Trailing 1-0 going to the bottom of the fifth, Woody hit his 10th home run of the year. With one out, Alejandro Juvier singled. That set up Woody who launched the first pitch he saw over the left-center wall to give the Keys a 2-1 lead. The Pelicans struck first in the second inning. Jared Young led off the frame with a walk. After a stolen base, Young moved to third on a Christian Donahue single. Cristian Alvarado then go Wladimir Galindo to ground into a double play, but it allowed Young to score. Alvarado (12-11) picked up the win to extend his career-high. On the season, he led the Carolina League in both wins and innings pitched (155). He pitched five innings of one-run baseball, allowing four hits while walking one and striking out one. Travis Seabrooke earned his first save pitching two scoreless innings. Tyson Miller (9-9) took the loss for Myrtle Beach. He allowed two runs over five innings on four hits and struck out four. Ticket plans for the 2019 season are available. To purchase your ticket plan, contact the Keys groups department at 301-815-9900. Those who buy ticket plans have first priority for tickets to the 2019 Carolina League All-Star Classic presented by Visit Frederick, which will take place on June 18, 2019 at Nymeo Field.